Bret Michaels is ready to take the stage tonight. Dinner can be free tonight if you’re willing to be the show. 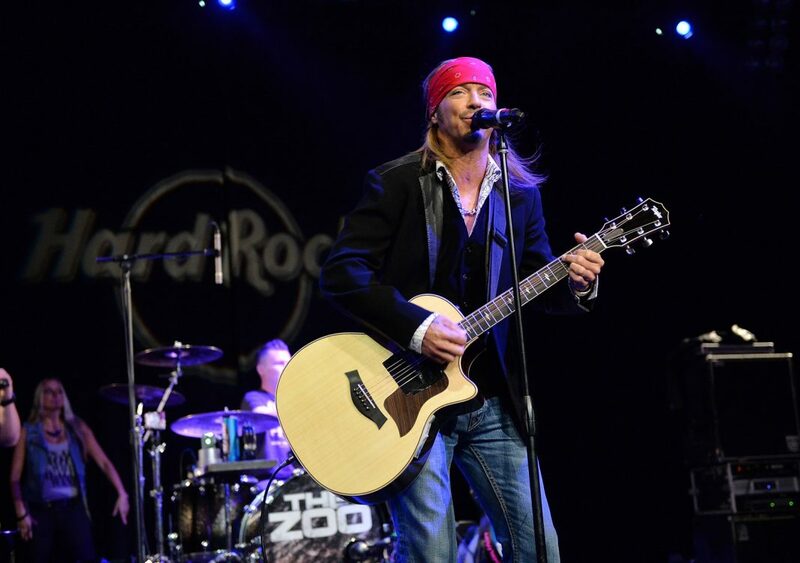 Legendary rocker Bret Michaels will be at the Hard Rock Cafe Hollywood this evening, kicking off the restaurant’s Tax Day “Sing For Your Supper” event with a quick performance. After the voice of Poison finishes, anybody in the audience can take the stage during the 5-to-7 p.m. event and sing to earn a free 1/2-pound Local Legendary Hollywoodland burger. How did filing your taxes go this year? Was it more of a “Nothin’ But a Good Time” or an “Every Rose Has Its Thorn” experience? Always nothing but a good time! Uncle Sam wasn’t too terrible this year, and I’m thrilled to be able to partner with Hard Rock Cafe for “Sing for Your Supper” for the second year in a row to give other Americans a tax break. If any guest around the country gets up and sings in front of the restaurant, they receive a free Local Legendary Burger, which is just awesome! Can never go wrong with a free burger! What are you planning to sing tonight? I’m going to go with “Every Rose Has Its Thorn”—I think the crowd at the Hard Rock Cafe on Hollywood Boulevard will have great energy, and we’re all so psyched to be performing here in L.A. to kick off this event. Anything you’d like to hear anybody else sing tonight? I would love to hear someone take on some Bruno Mars or Imagine Dragons. Those are a few bands I’ve been a huge fan of lately, and it would be awesome to hear someone take those on. What are some of your favorite places to eat and drink in L.A.? Obviously the Hard Rock Cafe on Hollywood Boulevard! Other than that, I love to hang out with friends while in town—or of course swing by the Rainbow where I have a lot of great memories. Tell me about what you’re working on now. What does the rest of the year look like for you? How do you think next year’s tax return is going to work out for you? I’ve got a lot of great stuff coming up the rest of this year—including celebrating Pinktober with Hard Rock as an artist ambassador for its breast cancer awareness campaign, piling on additional tour dates, partnering with PetSmart for my Bret Michaels pet line, and a new partnership with Overstock.com. There’s a lot of other information you can find on both HardRock.com as well as BretMichaels.com.